Every single one of us know what’s it like to be sick. We want to show to our friends, co-workers, family members or loved ones how much we love and care for them. Our Hand-arranged and hand-delivered arrangements are a perfect Get Well gift. 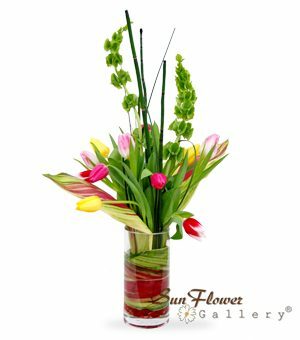 Whether you send flowers to the hospital or to the recipient’s home, we can guarantee you a wide selection of fresh, bright, colorful, happy arrangements in any price range, style and size. We also offer many different plants and dish gardens, Fruit and Gift Baskets. A plush animal or a bunch of balloons will make little recipients very happy! With our joyful floral gifts your loved ones will feel cared for and will get better soon!